Shedding and hair loss are common conditions faced by men and women alike. They can be caused by a myriad of factors, and diffuse thinning is no different. In this post, you’ll learn what diffuse thinning is (and how it relates to other types of hair fall) and its most common causes. You’ll then read about the typical signs of diffuse hair loss and, finally, you’ll learn of some possible ways to remedy the problem. In simplest terms, diffuse thinning refers to the shedding/thinning of hair throughout the scalp. This is in contrast to hair loss that occurs primarily at the temples and/or hairline (such as seen in pattern hair loss) or in solid patches (most often seen in alopecia areata) (1). The most common cause of diffuse thinning is Telogen Effluvium (TE). This occurs when more of the scalp’s follicles than is usual are in their telogen phase. But to understand exactly what this means and why it happens, it’s important to understand the hair growth cycle. Hair growth takes place in three stages (2). They are anagen, catagen, and telogen. Anagen is the active phase of growth in which the follicle is fully attached to the dermal papilla and the hair grows upwards and, eventually outwards. This lasts anywhere from two to six years. Catagen is the transitional phase in which the hair bulb detaches from the blood supply (dermal papilla) and moves away from the base. Telogen occurs once the hair strand is fully detached from the follicle. This is where hair actively sheds so it can be replaced with new hairs in anagen. For sufferers of telogen effluvium, however, this new hair growth may not occur. This is because the hair follicles either remain in telogen phase for longer than they should, or more follicles are in telogen phase at any given time. There are numerous factors that can contribute to this condition. The most common cause of telogen effluvium is medication. These include antibiotics and hormone therapies. The exact reason will vary by medication. For example, immunosuppressants may trigger an unmediated inflammatory response that can lead to follicle miniaturization. Or hormone replacement drugs can interfere with the levels of estrogen and testosterone in your blood serum (3). Another type of diffuse alopecia – anagen effluvium – is also triggered by medications. Most commonly, chemotherapy. The good news is that diffuse hair loss caused by illness and medications is almost always temporary. Believe it or not, physical and mental stress can be responsible for thinning and hair loss that otherwise occurred without a known cause. Stress is more than just a feeling. In fact, physical and mental stress can trigger an immunological response that affects every part of the body including the scalp. This was shown most recently in a 2017 research study which studied female college students during exam period (4). Similar to diffuse thinning caused by illness and medications, effluvium triggered by a stressful event is also usually temporary. While Androgenetic Alopecia (AGA) is often associated with a horseshoe-pattern of hair loss, this is only as it presents in men. Women, however, can experience hair loss on the crown as well as throughout the rest of the scalp. Unfortunately, this is an hereditary condition with no known cure. There are ways to slow the progression of the condition, and even combat its effects. I’ll discuss this later on. 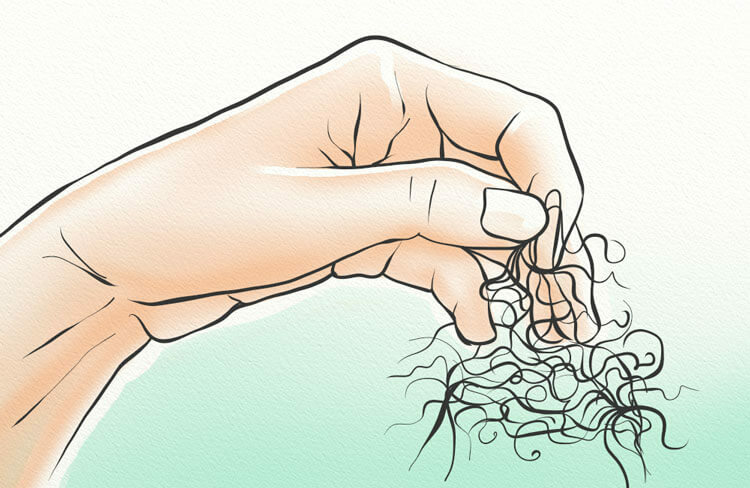 What are the Signs of Diffuse Hair Loss? You may notice thinning or hair loss creep up on you unexpectedly, or it may have taken place over a long period of time. Either way, here are signs of diffuse hair loss to be aware of. It’s normal to shed 50 – 100 hairs per day, but any more than that can signal an issue. The first sign that sufferers of telogen effluvium may notice is an increase in shedding, often on their pillow when waking up or in the drain after the shower. This can occur anywhere from a few weeks to a few months after the triggering event (including medication, injury, illness, or stress), or as part of the progression of AGA. Even though diffuse thinning occurs all over the scalp, it can soon begin to impact your natural hairline. The hairline is a line of follicles that rests in the temporofrontal region (i.e. temples and forehead) of the scalp. It’s common for the hairline to mature as you age, but when the temples begin to recede beyond a certain point it indicates a deeper issue. In most cases, hairline recession is associated with AGA. But it may also be caused by traction alopecia, trichotillomania, and even diffuse thinning. You’ll usually notice diffuse thinning before it gets to this point, but if not, there are methods you can use to possibly restore the hair you’ve lost. In the case of telogen effluvium, the condition may resolve over time. This is true if it was caused by a short-term prescription medication, or a traumatic event (such as illness or injury). However, it’s possible to suffer from the condition on a long-term basis. In that case, you may want to consider some of the treatment options below. The gold standard for chronic hair loss treatment is minoxidil, a topical solution that was initially developed for the treatment of hypertension. However, a noticeable side effect during trials was excessive hair growth and the drug was soon prescribed to men with hair loss and thinning. The oral drug was later developed into a topical formula, and this is the hair loss treatment most popularly known as Rogaine. Minoxidil is believed to have a few different mechanisms of action, though its function as a vasodilator and its ability to upregulate certain growth factors are the most widely accepted (5, 6). There are some side effects associated with minoxidil use, and the benefits (i.e. hair growth) will cease once the drug is stopped unless you’ve solved the underlying problem. Another drug to be approved by the FDA for use in the treatment of hair loss is finasteride. Finasteride, more commonly known by its brand name Propecia, is an oral drug that was initially developed for treatment of Benign Prostatic Hyperplasia (BPH) (6). 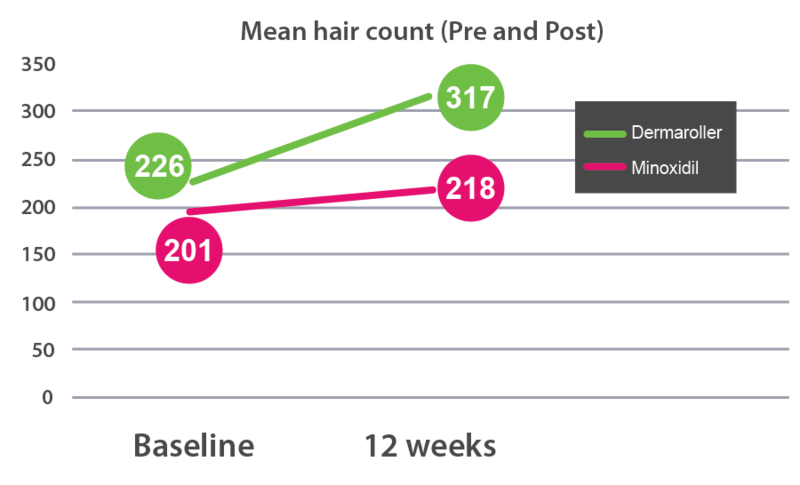 But similar to minoxidil, the drug was also shown to promote hair growth in trial participants. This makes sense as both BPH and AGA are believed to be linked. These conditions are both caused by (or at least worsened by) an hereditary sensitivity to the androgen hormone Dihydrotestosterone (DHT). Finasteride works by inhibiting the activities of 5AR, an enzyme responsible for the conversion of testosterone to DHT (7). 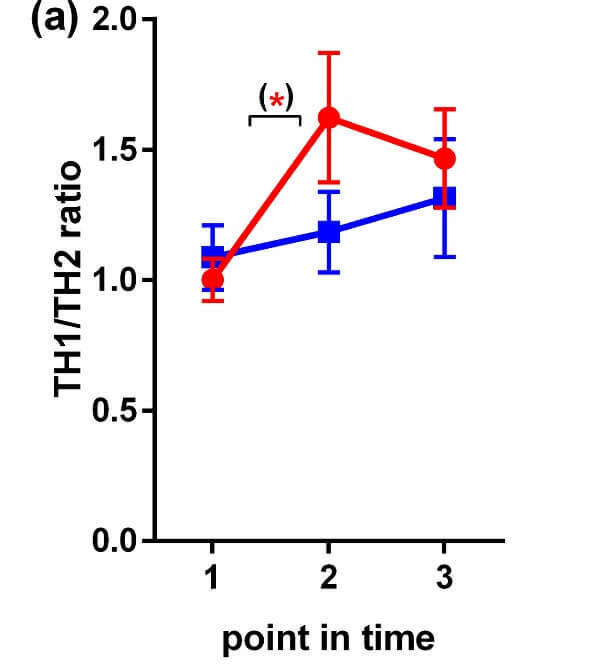 With 5AR inhibited, there is a lower serum level of DHT. This can reduce the inflammation and follicle miniaturization often associated with AGA. For women, this may help to treat diffuse thinning if the issue is AGA. If you want to avoid medications, or if you prefer to take a more direct route, then you may want to give microneedling a chance. Microneedling, also known as Collagen Induction Therapy (CIT), is a procedure in which tiny needles are used to puncture the scalp. These “wounds” are made by a specialized tool, such as a dermaroller or dermastamp. And while this may seem counterproductive to healthy hair growth, the practice is actually well backed by research. In particular, microneedling has been shown to induce collagen production and increase cutaneous blood flow (8, 9). These are both essential to the production of strong, healthy hair. But what if you want to use microneedling alongside another treatment, such as minoxidil? Well, good news – that has been studied, too! Best of all, microneedling can easily be performed in the comfort of your own home. All you need is a microneedling tool. I recommend a dermastamp, as it’s easier to target and maneuver throughout the scalp. So, how often should you microneedle? The answer to this will depend. Once per week is usually enough, and any more often may cause irritation or injury. However, you may also want to consult a dermatologist so they can make a recommendation tailored to your exact needs. For one more thinning hair treatment you can try at home, I recommend daily scalp massage and exercises. Whether your diffuse thinning is caused by a new medication, or the onset of AGA, massage and scalp exercises can stimulate blood flow and strengthen the follicles by stretching the dermal papilla (11, 12). For AGA sufferers in particular, it can also lessen mechanical stress which has been indicated as a possible contributor of pattern hair loss (13). Scalp massage and exercises are so simple that even the busiest of people can fit the ten-minute routine into their day. To learn more about the routines I recommend, check out this post on massage. Whether a temporary or permanent condition, hair thinning can be devastating. This is especially true for those who suffer from diffuse, or all over, hair loss. The good news is, even if the cause of the condition is outside of your control, you may be able to treat the symptoms and therefore reduce shedding and even regrow hair. This is true for many types of hair loss, including diffuse. If you have any questions about the topic, please leave a comment below.